taught in China, and brought The art of Pangainoon as it was called to Japan and Okinawa. Okinawa. He was the eldest son of Satsuma samurai descendants Kantoku and Tsuru Uechi. system no longer exists in China), now the most popular on the island of Okinawa. the fighting forms of China, and to avoid conscription into the Japanese army. many great fighting systems, was the best place to go for intensive training. village now and again, and the job is done. It didn't work. Japanese on the Okinawan people, which left most of the island in extreme poverty. would invite invasion of the island by Japan's enemies. The Uechi family wanted no part of this. Encouraged by his family elders, Kanbun Uechi quietly left Okinawa in March 1897 for China. Chinese boxing called Pangainoon, under a master named Shusshabu. of the "Five Fists of Fukien" (being the Dragon, Tiger, Leopard, Snake, and Crane styles). known of him at this time. for Uechi-Ryu would say "Shang-te Lui"; and would explain that this meant "hard-soft fist-way!" discouraged, but persisted. He later told his son Kanei "all I did for three years was Sanchin." work on, my thrust became very strong." training, emphasis was placed on total mastery of Sanchin. say that, of all the katas and forms, Sanchin is the most important. tried and failed. But Kanbun replied that he liked the area and looked forward to the challenge. 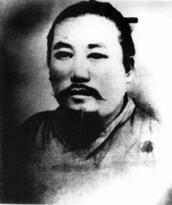 By 1909, Kanbun had been doing quite well as teacher and was very happy with his new life. accepted in China as a teacher of Pangainoon. Chinese, and wore his hair Chinese-style. Kanbun returned to Izumi without incident. forget his years of training in China, but his reputation was following not far behind. new family made to suffer, and so vehemently refused. Okinawan after all, and lived on the northern end of the island. Kanbun onto the stage where he was seen by all. He could not refuse! try to follow Kanbun's demonstration! professor at the college. Kanbun politely refused all offers. on the lookout for heroes and role-models to bolster the society's morale. But "famous"
for Japan in 1924 to search for stable employment. some of their leisure hours together. surmised, the training he had was all a falsehood - merely fancy dancing. the presence of a real master of fighting. Pangainoon was taught outside of China. was called Pangainoon-Ryu Karate-Jutsu Kenkyu-jo (Pangainoon Style Karate Study Hall). as a description, not as a name. but he concentrated mainly on karate training. 1. This association will be called "Shubukai"
* We will embody the principles of filial piety and make efforts to be upright citizens. * We emphasize physical exercise and bodily health. * We will cultivate moral behavior and increase our appreciation of others. * We will promote social spirit and contribute to public well-being. * Twenty yen will be collected each month for dojo maintenance. * There will be a yen registration fee. system "Uechi-Ryu," and awarded Kanbun (age 63) the title of Grandmaster. away to war. He settled down for a short time to look after his family in Nago. spent two years in a Siberian prison camp before returning to Okinawa in 1947.
some of the old Uechi family lands. Kanbun Uechi had finally come home. He was 71 years old. year old son of Ryuyu Tomoyose, Ryuko. unanimous decision. Later, in 1975, Master Kanei was elected President of the association. system. It was then that they discovered Shushiwa and Shusshabu were different individuals. Research is still being conducted to learn more of Shusshabu and the origins of Pangainoon. training techniques, most of which many of the more sports oriented modern systems avoid. makes up our system of Uechi-Ryu Karate. Grand Master Kanbun, and still today, to this esoteric system of Uechi-Ryu. two-man prearranged sparring drills bankais for two of the katas. Sanchin kata for developing strength and balance in all other movements. perhaps, old style Chinese White Crane Kung-Fu. The name "Sanchin" means "three conflicts." 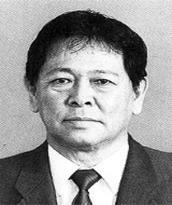 Itokazu. The kata name also contains elements from the names Kanbun and Shushiwa. them as candidates for their now permanent positions as intermediate training katas. number of fighting situations covered by the kata. 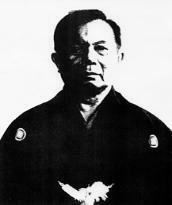 The kata Seiryu was created by Master Kanei Uechi. The name means "sixteen." name is a combination of Kanbun and Sanchin, but another story refers to it as "Kanei Fight"..
considers it to be a lesser kata, however, when compared to Sanseiryu. student of Uechi-Ryu Karate than to master this, the most complex kata of the whole system. to his roots, for strength, power, and answers. Uechi and the followers of Uechi-Ryu/Shohei Ryu Karate Do. 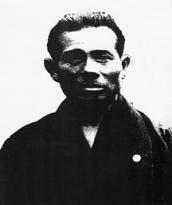 Master Kanei Uechi died in March of 1991, at the age of 70.